It’s time to get ready for BACK TO SCHOOL with our kids! Are you ready? We’re got your covered! We’ve asked members of the Kid Blogger Network to join together to share with you Back to School tips to help prepare your family for school. They are sharing their top tips in this Back to School Roundup just for you! Below you’ll find over 100 tips for preparing your child for school. 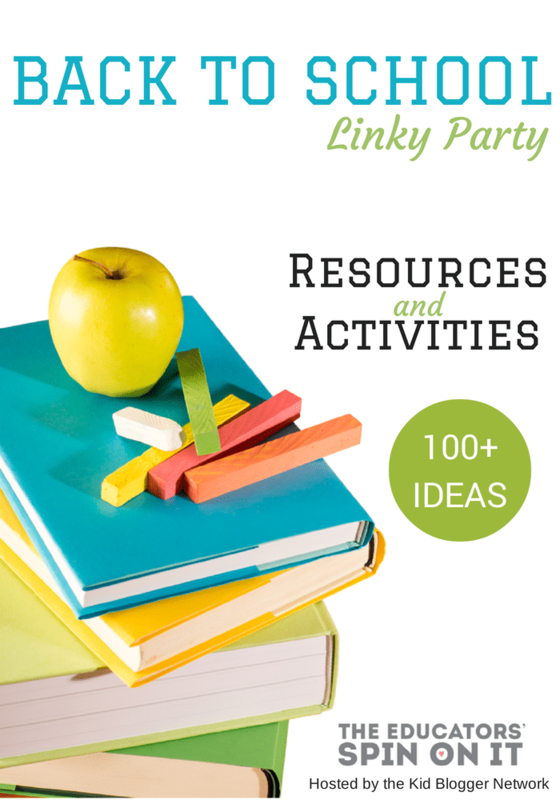 These ideas include activities, resources, crafts, recipes and more! 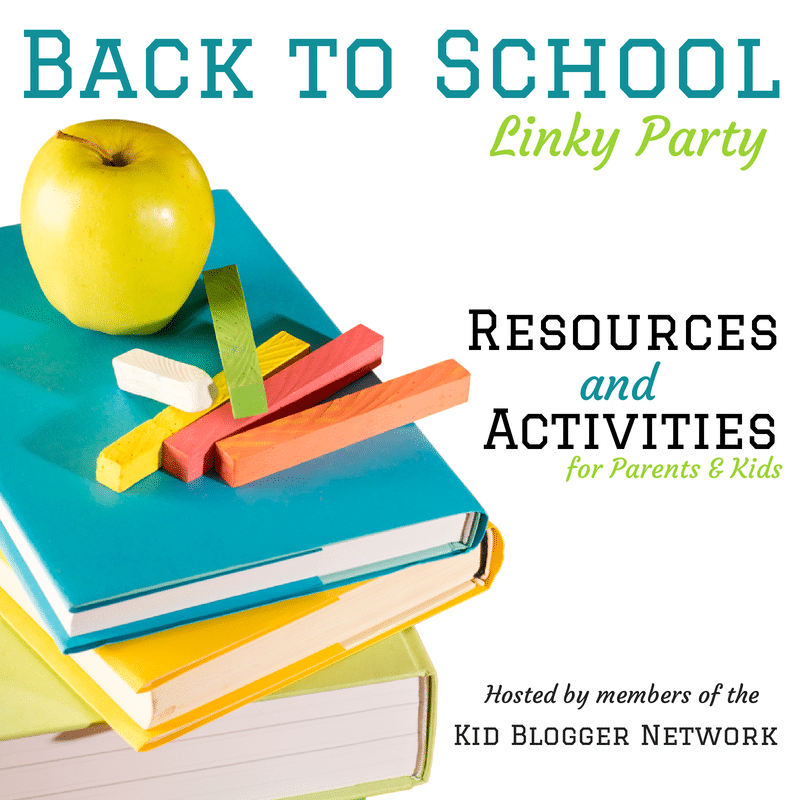 Share your Back to School Activities with us in our Back to School Round up! Let’s help to get families ready for a successful and memorable school year together! Disclosure: All prizes were donated by the participating companies, all opinions are 100% my own. Please see our full disclosure page for more information. Be sure to read the terms and conditions before entering the giveaway. Great prizes and the coupons will help with back to school needs! Great prize package for back to school. I plan a week off the week before school starts. We do some fun things like to to the museum, zoo, or to the arcade and then pick one day and go to the mall to get back to school clothes. The mall we go to has a lego store and a disney store so both of the kids get to go and do something fun while we are there. I love Back to School time because my kids are always so excited to get back to see their friends. I also love spending those last few days making sure all the school supplies are purchased!! Thank you so much for organizing this! My kids are young, so we are still fairly new at "back to school," so I'm thrilled to have such an amazing collection of ideas! Excited for the prize pack and all the ideas for back to school. Thank you! Excited to see all of the fun ideas, and for the opportunity for such a great giveaway! Ready for the school year to begin and would be a huge help to have fun ideas to start the new school year with. My kids are 2 and 4 so no back-to-school for us yet, but I do love saving all the ideas to make life easier when it does come around! Thanks for sharing all these great resources for going Back to School. I will have the big three all in THREE different schools this year. Talk about stressful! One tot still at home, and we have tons of fun! I love reading all the blogs and getting awesome ideas! What great classroom resources! I love all things Melissa & Doug! thanks for hosting and what an awesome giveaway!! I would love to win this amazing prize pack for my 5 kiddos:). These are great ideas. Everyone is very excited to head back to school at my house. This will be my first year to teach preschool and I'm so excited! I would love to win this giveaway! This would be great to use in my child's homeschool-preschool! We homeschool year round(6 wks on, 1 wk off) and every year when public school starts, we take an extra week off. The kiddos love it! These prizes are fantastic! Would love to win for my daughter's teacher. This is amazing! I'm homeschooling my preschooler this year, so I would love these materials!